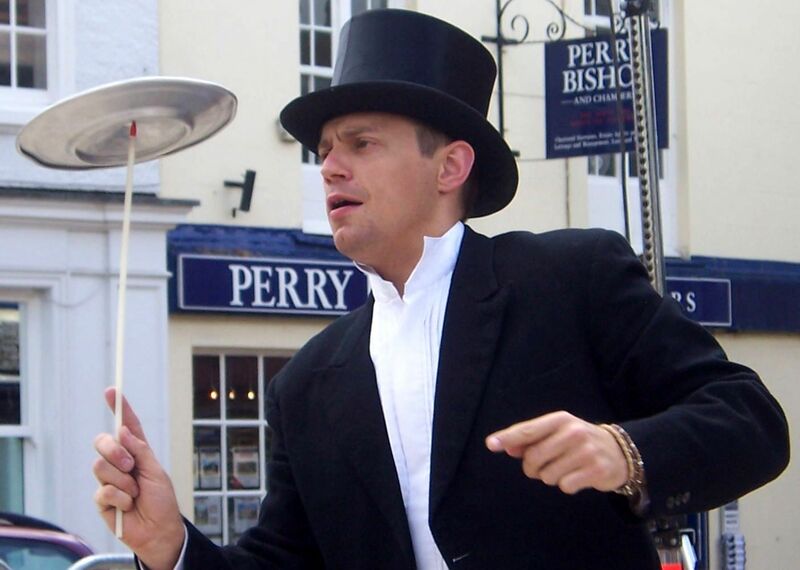 Using a modern take on the traditional Covent Garden style of street performance, Thomas Trilby aims to entertain all ages with juggling, plate spinning, unicycling and many other circus skills. Big visual comedy mixes with more subtle jokes and notoriously groan-worthy one liners. 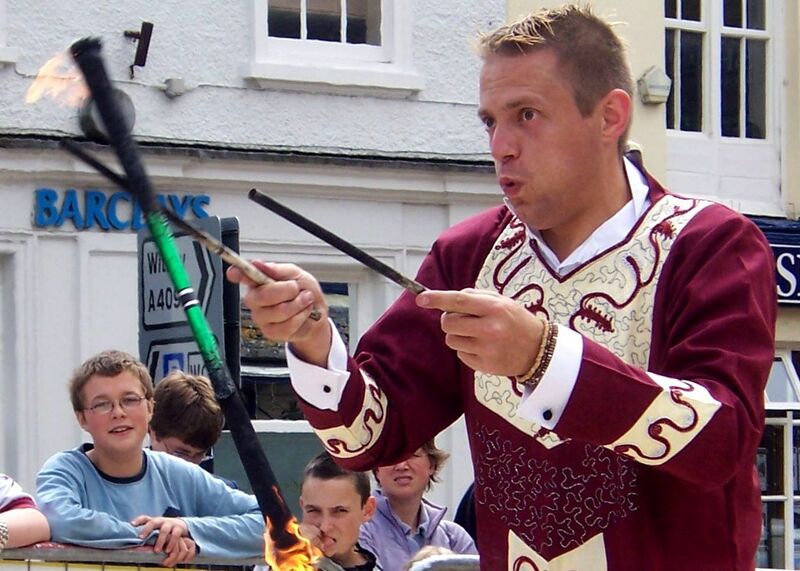 Thomas Trilby’s Traditional Show – a fast moving mixture of circus skills (juggling, 5ft unicycle, diabolo, flower sticks etc), fire, comedy, escapology, audience participation, magic, balloon modelling and more, finishing with the fire juggling ‘super volunteer!’ of death (or something!) Volunteers are used in a non-threatening way to build to a big finale including fire. In schools - Primary and Secondary – for half a day or a whole week – hands on and participative. 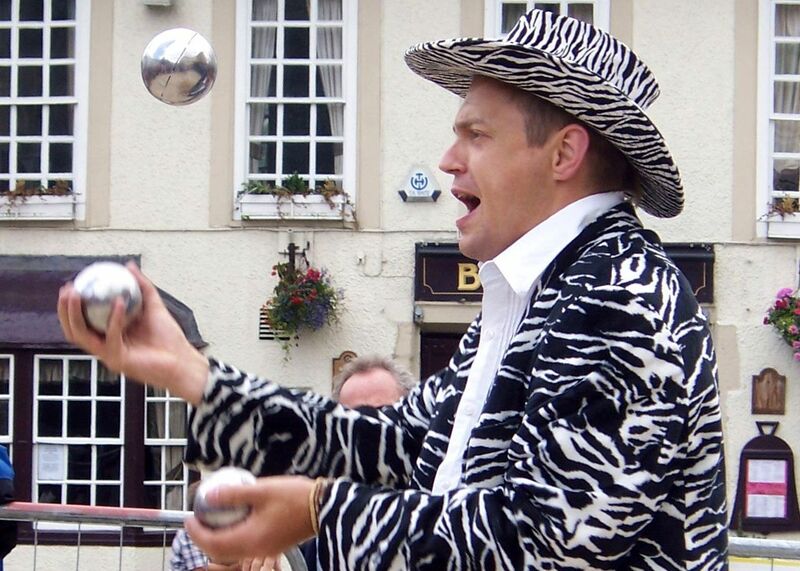 For any event - Your chance to have a go at juggling, unicycling, stilt walking, diabolo, plate spinning, mini bikes and loads of other circus type stuff. There is life after the balloon dog! Kids love the animals and hats and the sculptures go down great at corporate functions and parties. Having a balloon modeler moving around an event really adds to the atmosphere. 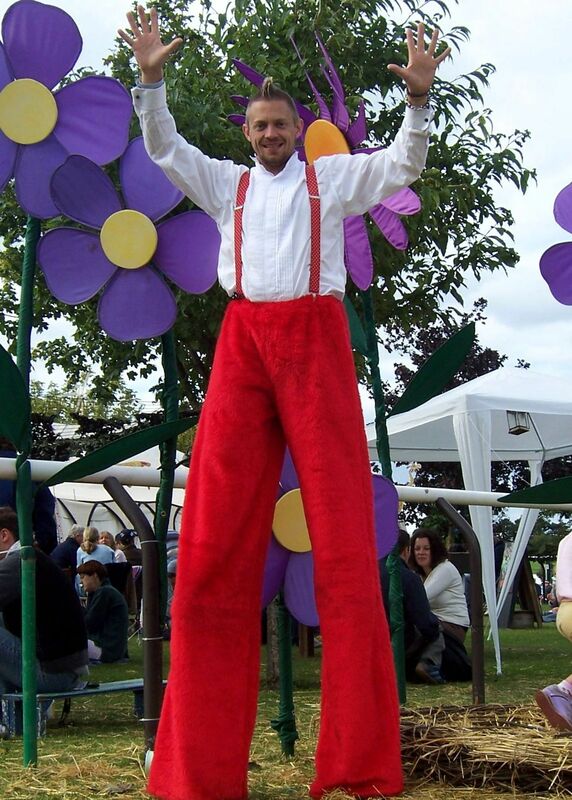 He walks around in Costumes and on Stilts! I can offer various character walkabout that go down great at any event. Popular outfits are the zebra print suit, mardi gras and santa! Can also be used for publicity and tv work. We can also make outfits and characters to fit your requirements or theme. I can create and perform characters to add to your themed event – popular choices include Frank the Cockney Landlord and the School Headmaster. 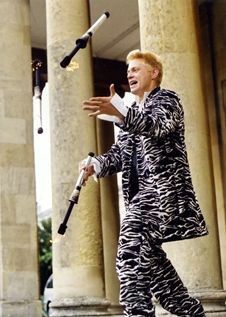 I also host and compere events and facilitate circus themed activities and entertainment.